Made in Brazil: Call Your Stylists! And yes, that goes to you also, Jake! 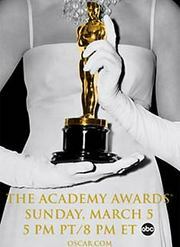 The 78th Academy Awards nominations were announced this morning, and "Brokeback Mountain" scored 8 of them, including Best Picture, Director, Actor, Supporting Actor, and Supporting Actress. The show airs March 5, which gives Reese Witherspoon enough time to find a new stylist, and browse through the couture collections for something new. YAY! This made my day!! YAY! !